From wine to blood, pet stains and chewing gum, your carpeting has many potential enemies!! 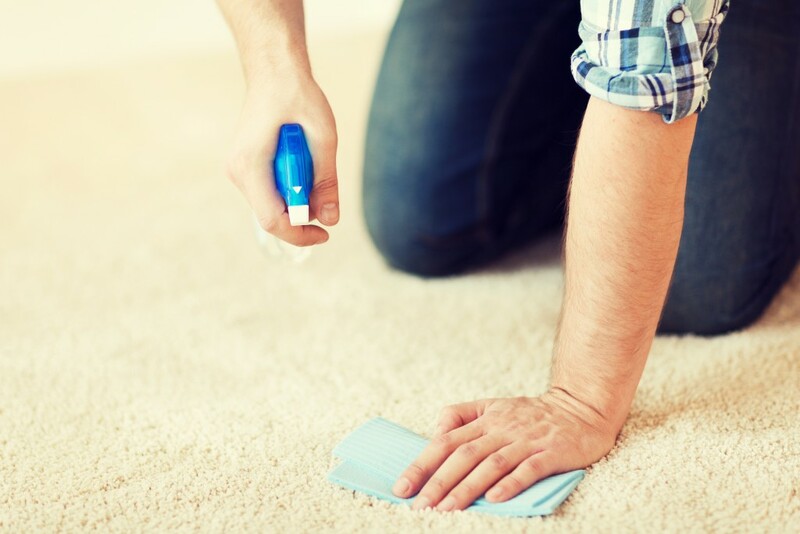 In this section, we’ll tell you how to remove a variety of specific stains from your carpet. Acid stains: Acid spills, such as drain cleaner or vinegar, demand quick action. Dilute them immediately with baking soda and water or with club soda. Then apply a solution of ammonia (1 part) and water (10 parts). Rinse with cold water, let dry, and vacuum gently. Alcoholic beverages: Quickly dilute the spot with cold water. Absorb the excess liquid. Then mix 1 teaspoon mild detergent, 1 teaspoon white vinegar and 1 quart warm water. Apply solution to the spot and let the carpet dry. Vacuum gently. Blood: Absorb as much of the blood as you can. Then mix 1 teaspoon mild detergent, 1 teaspoon white vinegar and 1 quart warm water. Apply the solution to the spot, and let dry. Vacuum gently after the carpet is dry. Butter: Scrape up as much butter as you can. Mix 1 teaspoon mild detergent,1 teaspoon white vinegar and 1 quart warm water and let the carpet dry. If the spot remains, repeat the procedure. Vacuum gently. Candle wax: Press an ice cube against the wax stain. The wax will harden and can then be pulled off. Catsup: Sponge a mixture of 1 cup vinegar and 2 cups water into rug. Frequently wring out sponge until stain is gone. Chewing gum: Chewing gum can be a sticky mess, so harden it by pressing an ice cube against the blob of gum. Once hardened, the gum can be pulled off. Chocolate: Immediately scrape the chocolate from the carpet. Mix 1 teaspoon mild detergent, 1 teaspoon white vinegar and 1 quart warm water. Apply solution to the spot. Rinse well. Vacuum gently. Coffee: Blot spilled coffee immediately. Mix 1 teaspoon mild detergent, 1 teaspoon white vinegar and 1 quart warm water. Apply the solution to the spot and let dry. Vacuum gently after the carpet is dry. Crayon: Scrape away excess crayon or remove it by placing a blotter over the crayon stain and pressing it with a warm iron until the blotter absorbs the melted crayon. Move blotter frequently so that it doesn’t get oversaturated. Mix 1 teaspoon mild detergent, 1 teaspoon white vinegar and 1 quart warm water, apply and let the carpet dry. Vacuum gently. Fruit: Fruit stains can be very hard to remove if they are allowed to set, but if you act quickly this method usually prevents a permanent stain. Scrape up spilled fruit, and absorb fruit juice. Mix 1 teaspoon mild detergent, 1 teaspoon white vinegar and 1 quart warm water. Apply solution to the spot, and let the carpet dry. If the spot remains, repeat the procedure. Vacuum gently. Gravy: Wipe up as much of the spilled gravy as possible. Mix 1 teaspoon mild detergent, 1 teaspoon white vinegar and 1 quart warm water. Apply the solution to the spot. Let the carpet dry. Vacuum gently. Mud: Allow the mud to dry completely and then brush or scrape off as much as possible. Mix 1 teaspoon mild detergent, 1 teaspoon white vinegar and 1 quart warm water. Apply solution to the spot. Let the carpet dry. If the stain remains, re-apply and blot dry. When the spot is completely dry, vacuum gently. Salad dressing: Absorb as much salad dressing as you can. Mix 1 teaspoon mild detergent, 1 teaspoon white vinegar and 1 quart warm water. Apply the solution to the spot. Let the carpet dry. If the spot remains, repeat the procedure. Vacuum gently. Soft drinks: The carbonation in soft drinks will help you clean spilled drinks quickly, but act fast because some of the dyes in the drinks can permanently stain your carpet. Blot up the spilled drink. Mix 1 teaspoon mild detergent, 1 teaspoon white vinegar and 1 quart warm water. Apply the solution to the spot. Let the carpet dry. If the spot remains, repeat the procedure. Vacuum gently. Urine: Mix 1 teaspoon mild detergent, 1 teaspoon white vinegar and 1 quart warm water. Apply the solution to the spot. Let the carpet dry. If the spot remains, repeat the procedure. Vacuum gently. Vomit: Treat vomit quickly as stomach acids are particularly damaging to carpets. Blot up as much as possible, then dilute immediately with baking soda and water or with club soda. Apply solution of 1 part ammonia and 10 parts water. Rinse with cold water, let dry, and then vacuum. Wine: There’s truth in wine they say. When red wine is spilled on your carpet, dilute it with white wine, then clean the spot with cold water and cover with table salt. Wait ten minutes, then vacuum up the salt. Follow by asking tipsy wine-spilling guest to kindly put down the glass.